The Greek philosopher Pythagoras was never actually involved in the numerology systems known nowadays. 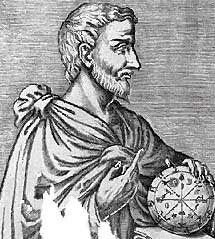 Shortly after 600 BCE, he founded the first university and developed his theory of numbers. These theories are the basis of all natural law today and are also the foundation for the occult science of Numerology. Pythagoras was actually a philosopher who contributed with the concept of numbers as symbols rather than mere numerals. He determined that everything progressed in predictable cycles, and assumed a relationship with respect to the alphabet. For example - the Sumerian idea that letters, gods and goddesses were assigned numbers relative to their station. Pythagoras< determined that everything progressed in predictable cycles, and assumed a relationship with respect to the alphabet. For example - the Sumerian idea that letters, gods and goddesses were assigned numbers relative to their station. Numerology as we know it is a system based on Gematria, which is one of the Qabbalistic disciplines. Through Gematria one can get the number of each word or name, since the Hebrew alphabet has the same symbols for both letters and numbers. Western numerology is but a way to adapt the principles of Gematria into the Latin alphabet so as to get the numbers of words and names as well. The updated Pythagorean conversion table uses numbers 1 through 9, each of which is related to certain letters of the alphabet. An alternate version is the updated Chaldean Conversion Table which works in a similar way except it is numbered 1 to 8 and the letters associated with each number are different as well.